There’s a new museum for horsepower hounds, speed fiends and fans of NASCAR, the Indianapolis 500 and anything with a motor that goes fast. 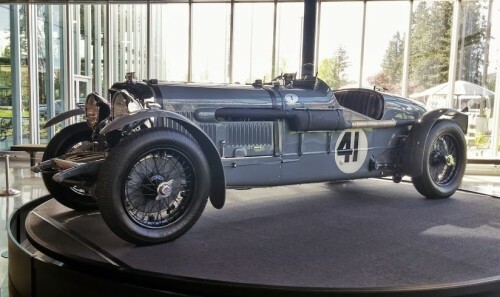 A shrine to speed, the 80,000-square-foot museum is the first to document the history of motor sports in the Pacific Northwest. It also covers the story of motorsports that have roots in other parts of the country. The museum’s Daytona display is a winner: a 15-foot-tall, 44-foot-wide structure built with the exact incline of the original 2.5-mile long tri-oval speedway in Florida. The four restored vehicles mounted in the exhibit are from legendary Nascar drivers, and include Dale Earnhardt Jr.’s 2000 Chevy Impala, Jim Vandiver’s 1974 Dodge Charger, Terry Labonte’s 1988 Chevy Monte Carlo and Cale Yarborough’s 1979 Oldsmobile 442. 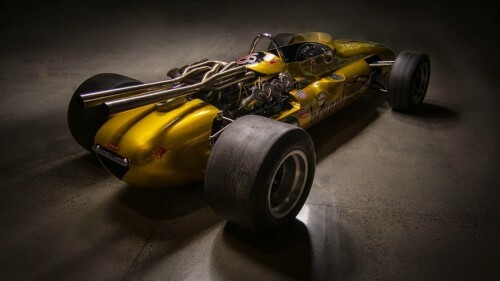 Other gems on display at the museum (some are on loan, while others are in the permanent collection) include Mickey Thompson’s famous record-breaking Assault and Indianapolis race cars. Both were built by Rolla Vollstedt in the basement shop at his home in Portland. There’s also the business side of motorsports. Nascar’s top earners pull down more than $170 million in aggregate earnings, endorsements and other income streams, and Nascar itself commands billions from television rights, in spite of faltering viewership.